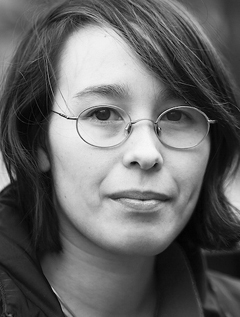 Aliette de Bodard lives and works in Paris. She is the author of the critically acclaimed Obsidian and Blood trilogy of Aztec noir fantasies, as well as numerous short stories which have garnered her two Nebula Awards, a Locus Award, and two British Science Fiction Association Awards. Her space opera books include The Tea Master and the Detective, a murder mystery set on a space station in a Vietnamese Galactic empire, inspired by the characters of Sherlock Holmes and Dr. Watson. Her other works include the Dominion of the Fallen series, set in a turn-of-the-century Paris devastated by a magical war, which includes The House of Shattered Wings (2015 British Science Fiction Association Award, Locus Award finalist) and its stand-alone sequel The House of Binding Thorns.